The value of your rug can be a hard thing to pinpoint. Your rug value relies on a variety of factors such as size, dyes, design, and quality. Sometimes it is best to receive a third-party opinion on the value of your rug. 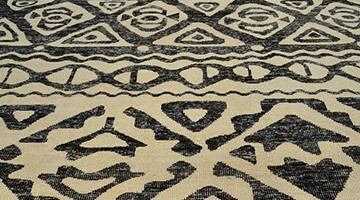 Whether you are trying to sell a rug, buy one, insure it, or are just curious, we can help you appraise your rug. Rug appraisals can help you keep in mind all factors when trying to buy or sell rugs. We keep updated with the latest tastes and trends in Utah and all around the world to accurately appraise rugs for you and your family. Just like your car, home, valuable art pieces and more, your rug is a highly valuable possession that should be insured. Damage to your rug can happen in a number of ways, whether that is through time , not having the best quality no move padding or through accidents, Fine Designer Rugs is here to help you. Since your rug will be placed on the floor, there are increased chances and risks of your rug becoming damaged. Make sure that you have rug insurance to ensure that you get your rug’s full value even after damage. If you have any questions about our rug appraisal and insurance processes, give us a call 7 days a week at 801-971-4545.